Disclaimer: This is a sponsored post brought to you by US Family Guide and Groupon Coupons. All opinions are my own. I truly love Groupon Coupons and feel they are a great way to save money so I wanted to share that with my readers. There are also links below to products I recommend from companies I have an affiliate relationship with. I will be compensated if you make a purchase after clicking on my links. 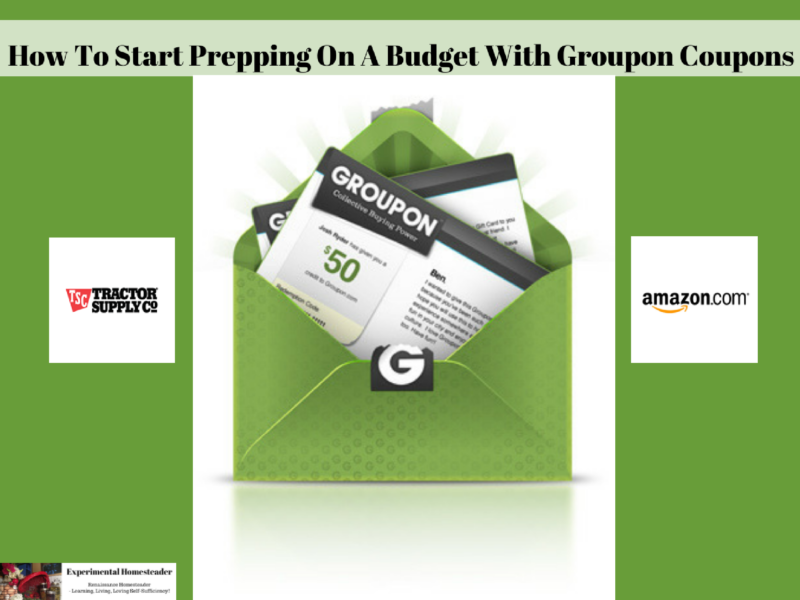 Groupon coupons has something for everyone, even those who wonder how to start prepping on a budget. There are so many basic homesteading supplies you need to get started never mind the essential items you need for your bug our bag. In addition to things you need, there are those occasions such as birthday’s, anniversary’s, weddings and holidays that you need nice gifts for. I always want to get a great deal on the prepping supplies I buy and the gifts I am giving. That’s why two of my favorite retailers are Amazon and Tractor Supply. I can get prepping supplies, pick up whatever my livestock needs and find the perfect gift items for others as well. What I did not know is that I could use Groupon Coupons to get even better deals. I have found some amazing deals at both of these retailers using Groupon Coupons – and I wanted to share that with you because I know every penny counts. I love shopping on Amazon for so many reasons. One of the biggest is I can find items I can’t find locally. Amazon has an amazing selection of prepping supplies for sale – everything from gas masks to solar ovens. Simply type what you are looking for into their search bar and the results quickly populate. Their book selection is incredible and I have found canning books, survival books and natural livestock care books on Amazon that I simply could not find anywhere else. Amazon Gift Cards make great gifts and are always well received. I know I love getting them too! Groupon Coupons offers a huge selection of Amazon Coupons and Promo Codes that you simply must check out! When it comes to chicken feed, Tractor Supply is the place I go. It is important to me to feed my poultry organically and our local store stocks the entire line of Purina Organic Chicken Feeds. Organic livestock feed is a bit pricy, so I turn to Groupon Coupons to find relevant coupons and percentage off promos. At the start of every season Tractor Supply has the supplies I need to keep my homestead running smoothly. My favorite time to shop there is during spring when the selection of gardening products including live plants and seeds is incredible! They even have a line of organic soils, fertilizers and pest control products which I appreciate! The holiday season is my other favorite time to shop at Tractor Supply. The decorations are so cute. The gift items they sell are so hard to choose from – in fact, I can never choose just one item. It’s a good thing I have lots of people on my list to buy gifts for! I love how everything they sell fits the farm lifestyle too – and hands down they the place to go for homesteading magazines. Their customer service is great too! If you don’t have a local Tractor Supply in your area, simply order online and have the items delivered right to your doorstep. 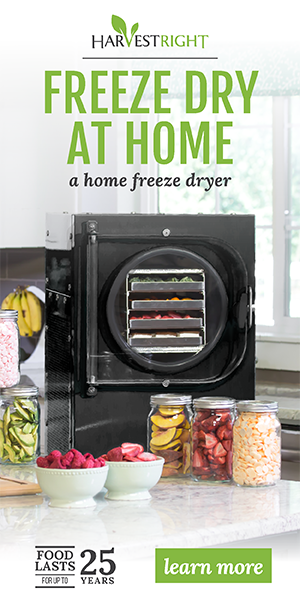 Sometimes that’s easier anyway given that most of use are super busy all day long gardening, canning and raising livestock. I truly hope you will check Groupon Coupons out – and definitely be sure to check out my two favorite places to pick up homesteading and prepping supplies. Now you know my trick to saving money and prepping on a budget while still being able to sneak in a few non-essentials from time to time.